Glacial covered mountains, alpine lakes, dense forests, driftwood beaches, and trails galore…Washington state has so much beauty and adventure waiting for you. If you like surrounding yourself with gorgeous ecosystems and incredible hiking opportunities, then you’ll definitely want to spend a few nights (or a lifetime) in one of Washington state’s many incredible campgrounds like these. While I typically love camping in State Parks, the Washington State Park system is not one of my favorites mostly becasue they are expensive and the reservation system is not user friendly like Reserve America is. I do love their locations though so it’s a trade off to be immersed is such gorgeous natural settings. If you travel in the off-season, you typically can save money by not reserving ahead of time and just paying for your site when you arrive. In the busy season, July and August, you will probably want to book ahead. This is one of our favorite campgrounds to stay at because it has it combines so many elements-forest, beach, lake, mountains- and has many amenities. Surrounded by the gorgeous Cascade mountains and only a 30 mintue drive from the famous town of Leavenwoth, this alpine lake campground is great for water sports, power boating, swimming (it’s cold though), or just chilling on the sandy shoreline. There’s a playground and a shop to rent kayaks, SUPs, and more at the lower campground. Although not the best trails for running, there are trails right from the campground for mountain biking and hiking. If you choose to winter camp, there are heated shelters and bathrooms. There aren’t many options for food close by so come prepared. Also note that there is a north and south campground. The north is geared more for RVers, however, we travel in an RV and prefer the south campground. I like this coastal campground mainly for it’s proximity to great mountain biking and the cute town of Ferndale. The Interurban trail is an easy 6.7 mile trail right from the campground all the way into Fernadale. Besides having a ton of great mountian biking right from the campground, the views of Samish Bay and the San Juans are incredible here. This is a great spot for fishing and paddle sports, and kids will love playing in the water and tidepooling. Note that the train does come by many times a day. Also, there is supposedly rock climbing nearby, but we never found it. My kids, however, did love the boulder in campsite A24! If you love beach camping, this is the campground for you. While the capground itself is pretty much a huge parking lot with a very small patch of grass next to your site, it sits right on the sand and the beach here is huge making it a great place for kids and beach lovers. There is a small town within walking distance which has a small grocery store and cafes. This is a great stopping point too if you are on a road trip down the Washington coastline. Scenic but cold. The drift wood beaches, dense forest, and abundance of wildlife in the water, makes Deception Pass a great destination for camping and relaxing. The sunsets here are incredible and there are so many miles of hiking trails and shoreline to explore that you will love it here. Make sure you take a walk across the long, high bridge. Got a boat? Then this is the place to be. This is a very popular campground for boaters, sailors, anglers, water skiers, and windsurfers making it hard to get reservations for. It’s very close to the town of Chelan, which has many great restaurants, cafes, and breweries. You can hop on a boat to the end of the lake and access miles and miles of backcountry hikes in North Cascades National Park. The campground has great amenities, a playground, and SUP rentals. I really enjoyed the unique fauna and the denseness of the forested campsites here. The campground that sits right across from the Mount Saint Helens Visitor Center. My kids loved the playground and there are easy hikes from the campground. This is a great campground for a relaxing weekend in nature or for a wonderful educational experience. It’s also nice if you are on a road trip through the center of Washington since it’s a very short detour off Interstate 5. 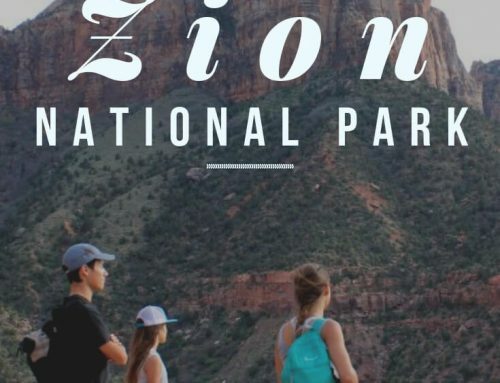 We love camping at National Parks and this one is amazing if you love forest trails, playing on the beach, and learning about nature. Campsites are up on a bluff making it a short walk down to the beach. I loved that the campsites were nestled between trees, making it quite private. The ranger program at night was one of the best I’ve ever been to. While the closest amenities are 9 miles away, there is a lot to do here in nature including wildlife viewing, tidepooling, beach combing, and hiking. This is a very popular campground for a reason so reserve it early. Tent camping on Second Beach in Olympic Naitonal Park is a must do. It’s a short .7 mile hike out to the beach where you’ll find dozens (if not a hundred) of tents lined up along the beach. It’s a huge shoreline dotted with haystack rocks and driftwood and makes for a great overnighter. You must use bear canisters here and are requried to obtain a permit to camp overnight. There is a pit toilet where the forest meets the beach and there’s a stream to filter water from. Don’t forget your HydroBlu Jerry Can. Since this is such a popular adventure, it can be very hard to get permits in the summer. While North Cascades National Park is nice to see, it is not one of my favorite Naitonal Parks mainly becasue everything is spread far apart. I prefer the national forest area just east of North Cascades (see Lone Fir below). However, if you are going to camp in North Cascades, this is the place to camp. It is a gorgeous campground surrounded by old-growth forest. There are many trails from the campground. You can access the blue waters of Diablo Lake by walking across the street. There aren’t any amenities nearby so pack accordingly. This campground sits in the middle of Mount Rainier National Park, making it a great jumping off point to access the many trails in the Paradise area of Mount Rainier. Mount Rainier is a must see in my opinion. Besides how impressive the actual mountain is, the sub-alpine meadows, waterfalls, and lakes in the park are incredibly scenic. If you love geology, you will love learning all about volcanic activity here and the kids will love the junior ranger programs at the campground. In my opinion, the National Forest doesn’t get enough attention. The National Forests provide some of the most scenic camping and are VERY inexpensive. For adventurers like us, who love to get off-the-beaten-path, we love that there are so many great camping opportunities in our National Forests. There are too many great national forest campgrounds to list them all, but these are two of our favs. If you have one you love, please share it with us in the comments. The area just east of North Cascades National Park on Highway 20 is amazing. The mountains seem to go on forever and there is so much hiking and mountain biking here that you could spend a very long time here and not get bored. The drawback (or benefit) is that you are 30 mintues from the closest town so be prepared with supplies. There is water here but the closest dump station is in North Cascades NP or back in Winthrop. Don’t forget to stop at Washington Pass for pictures and hike to Blue Lake or Heather-Maple Pass, two of our all time favorite hikes. This is a pretty large campground located near Cle Elem. It’s a great access point for hiking into the South Casacades. We did the hike to Waptus Lake, and while our YouTube video makes it seem like we didn’t enjoy it, it’s just becasue we are jaded from doing so many epic hikes and really had hoped to backpack all the way to Spade and Venus Lakes (unfortunately the trail was still under snow in June). You will absolutely love hiking here whether you want a short stroll or a long backpacking trip! While Eight Mile Campground could easily be added to the list above of the best national forest campgrounds, we prefer to free camp when we head to Leavenworth. If you go up Icicle Creek toward French Creek campground, there is a large gravel pull out that allows RV’s to overnight camp (There is a big sign that says, “Free overnight parking. RVs only.”). I loved the sound of the water in the creek tumbling over all the boulders below and the fact that it’s usually empty. There is fantastic rock climbing and hiking all along the road, and if you have strong legs, you have to do one of the greatest hikes of all time, The Enchantments. Click here to read how to take on this epic adventure. Hope this helped you find your next camping trip! If you have any questions, please let us know in the comments section below or let us know if we missed your favorite campsite!